If you and your family are spending a weekend in Malibu, come by Paradise Cove Beach Cafe! Our food is always delicious, drinks are refreshing and the experience of dining right on the beach is like none other. 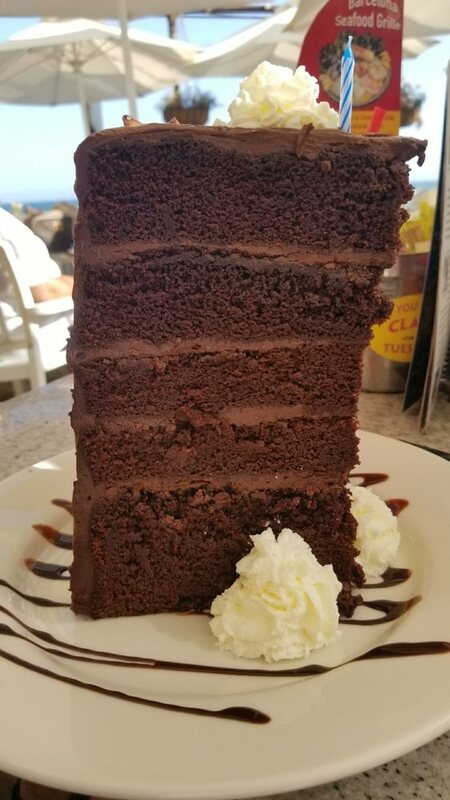 We are located six miles north of the Malibu Pier and serve a wide variety of dishes. You’ll find that there are always things to do with family at Paradise Cove. 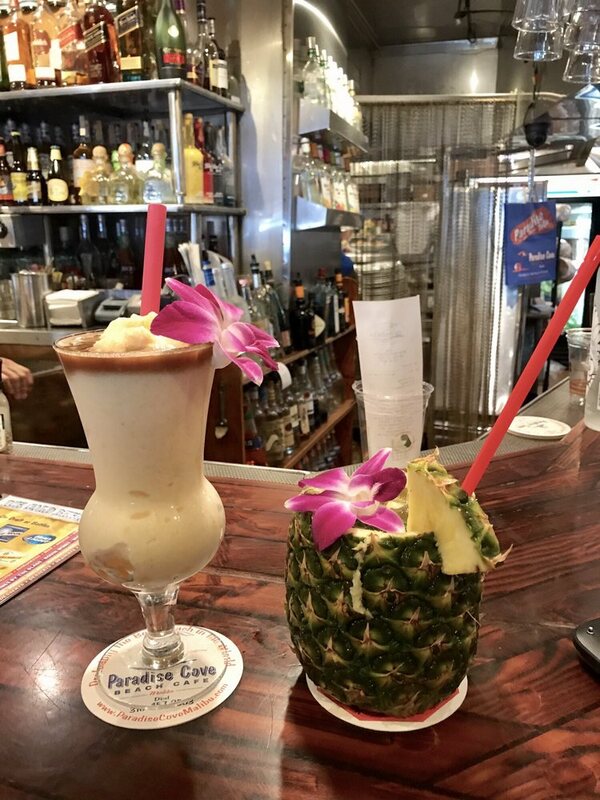 The Paradise Cove Beach Cafe is open for Breakfast, Lunch and Dinner 365 days a year: Sunday to Thursday 8am-9pm and Friday to Saturday 8am-10pm. For breakfast, start your day off with a glass of freshly squeezed juice or a mimosa. There are plenty of options to make everyone in the family happy, from classic Eggs Benedict to yummy Carrot Cake Waffles, and if you’ve got a big appetite check out our Paradise Paddlers All American Breakfast. For lunch and dinner, we offer a menu that can satisfy anyone! It doesn’t matter if you’re in the mood for a salad, sandwich, seafood, burgers or pasta…. we’ve got them all! If you and your family are looking for a fun meal to share, make sure to consider ordering the Iced Seafood Sampler or Hot Combo Sampler. Both of these samplers are HUGE and are meant to be shared. The Iced Seafood Sampler is, “A Seafood Lover’s Delight!” It’s piled high with Jumbo Shrimp, Canadian Snow Crab Legs, Ahi Sashimi Poke, a GIANT Clear Water Prawn, House Smoked Salmon, Fresh Fish Ceviche, Marinated Calamari and Mussels. The Hot Combo Sampler is stacked high with Hickory Smoked BBQ Baby Back ribs, BBQ Jumbo Shrimp, Papa Joe’s Friend Fish, Macadamia Coconut Shrimp, BBQ Chicken, Crispy Calamari and our golden fries. If you’re looking for a smaller bite to eat, order our world famous tacos! These Tacos are made with love and the flavors are derived from a home made recipe. 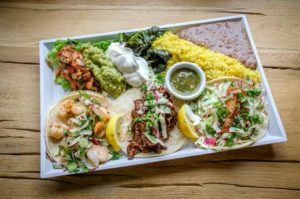 We have a myriad of Tacos to choose from: Fish Tacos, BBQ Chicken Tacos, BBQ Prime Steak Tacos, Ocean Shrimp Tacos, Carnitas Taco and Smoked Pork Belly Tacos. Celebrities are a huge part of the Malibu Community and we are fortunate that our friend, Country Music star, Kenny Chesney has contributed to our list of delicious cocktails. We’ve been using his Blue Chair Bay Rum in our drinks and it is excellent. We also make a killer Banana Rum Daiquiri, Strawberry Banana Boozy Smoothies and Pina Coladas! If you are more of tequila person, don’t worry – we haven’t forgot about you! Enjoy Pablo’s Perfect Blue Agave Margarita. It’s made with Cazadores Tequila, agave nectar, fresh lime juice and kosher salt along the rim. In addition to the drinks mentioned above, we are equipped with a full bar and an extensive list of cocktails. 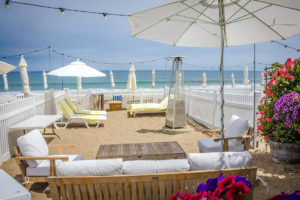 If you and your family are looking for a Malibu day cation getaway to Paradise Cove, its easy to book a Beach Terrace on line. Each Beach Terrace offers, beach chairs, chaise lounges, umbrellas and an ice cooler. Each Beach Terrace will receive two validated parking passes. Of course, Beach Terraces rental are subject to availability and in the busy summer months the parking lot fills up early, so plan ahead and get here early.